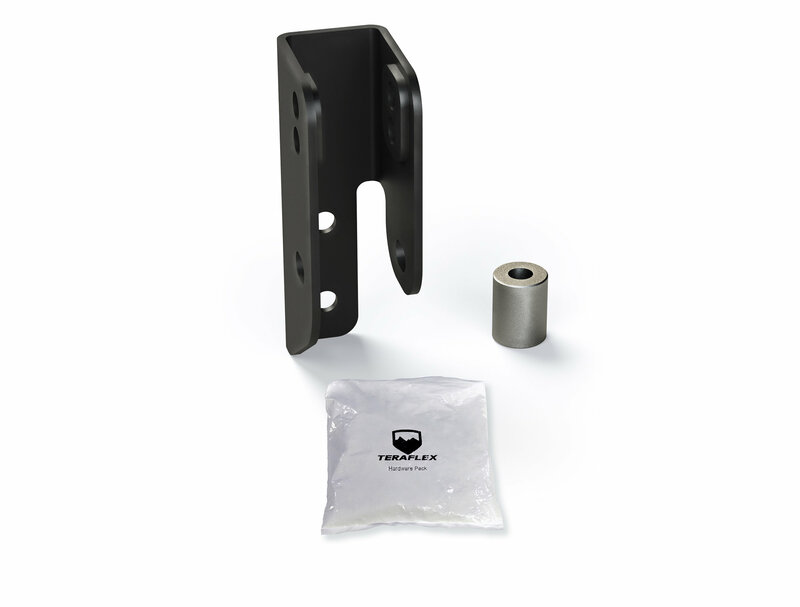 TeraFlex has designed their Rear Track Bar Bracket Kit in order to correct vehicle roll center, restore factory handling, and reduce body roll on 2-door or 4-door Jeep Wrangler JLs lifted 2.5-4". This bolt-on bracket mounts to the rear axle and multiple mounting holes allow for neutral lateral alignment of the rear axle. Versatile: Multiple holes have been incorporated in the bracket for flexible mounting options. Safety: Correct vehicle roll center to ensure sturdy and safe handling in the turns and over berms. Compatibility: Can be fitted to 2-door and 4-door Wrangelr JL Jeeps.